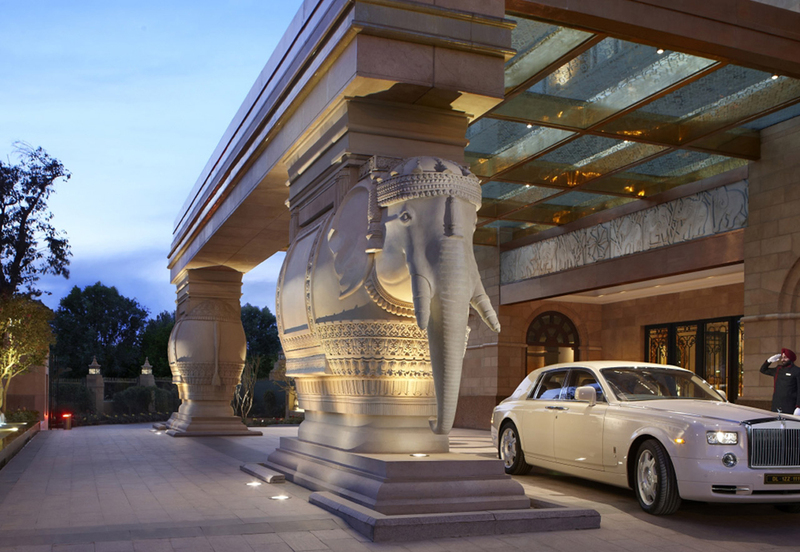 Leela Palace New Delhi, a flagship property of The Leela Palaces, Hotels and Resorts, is one of the finest architectural marvels built from ground up in the last thirty years in downtown Delhi. Built in the shape of a butterfly, this visual spectacle is ensconced in the heart of Chanakyapuri, near the prestigious neighborhood of Diplomatic Enclave, blending seamlessly with its majestic surroundings. Its architecture is inspired by Lutyens, art and embellishment by Mrs. Madhu Nair and its levels of refinement and generosity of space mirror the great palaces of the world. Breathtaking vision superbly realised.